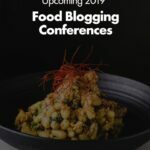 This post contains affiliate links where I might receive a small commission if you make a purchase which helps support this site and is at no additional cost to you. I only recommend products that I use and love. 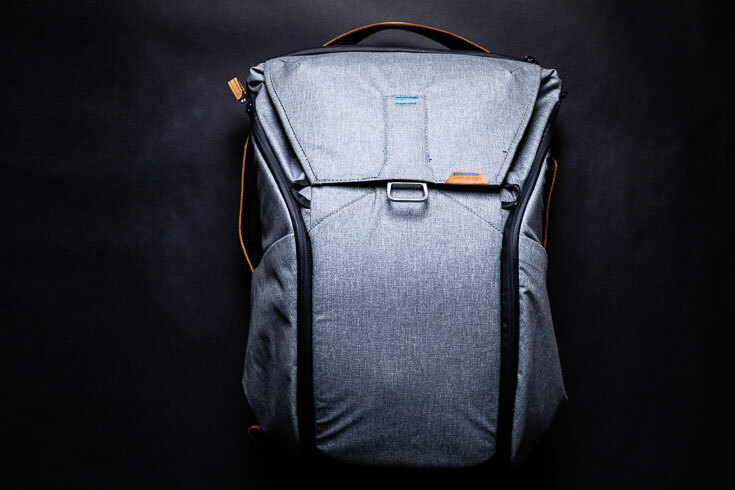 The Peak Design Everyday Backpack is the best camera bag that there ever was. It’s a bag to fall in love with, and it’s not just what’s on the outside. You can stop reading and go buy one right now and thank me later. If you’re interested in hearing a little about why I love it so much; keep reading and then go pick one up. Let’s talk about something that I’m almost as passionate about as food, and that is keeping photography gear tidy and organized. It’s something that brings me joy and makes life so much easier. If you have been a photographer for any amount of time, you know how quickly your gear can feel like it’s all over the place. The Everyday Backpack helps create a “mise en place” for our gear and everything else we need with us while traveling or on a photo shoot. Mise en pace translates to “everything in its place.” If you are a chef, you are very familiar with the term. 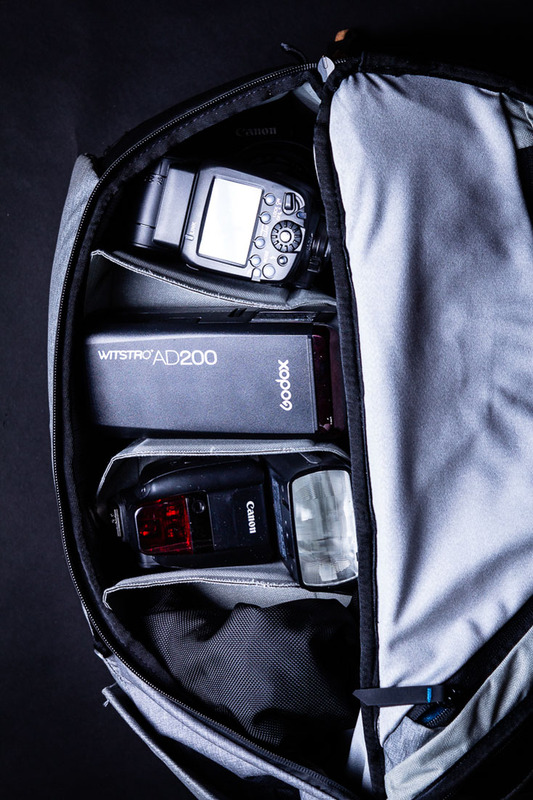 This camera bag helps to make that happen for photographers. Everything in its place means it’s organized, protected and easily accessible for you whenever you need it. There seem to be more camera bag options out there than there is gear to put in them. I’ve had numerous bags and some have been pretty great (or so I thought). When I first discovered Peak Design, I instantly became obsessed with the brand. The quality in every aspect can be felt when picking up and feeling any of their products. I had previously been carrying around a Timbuk2 messenger bag for about 12 years and it was starting to disintegrate (literally). When I started to have more off-site photo shoots and wanted to take my photography gear on travel, I knew it was time to invest in a new bag. 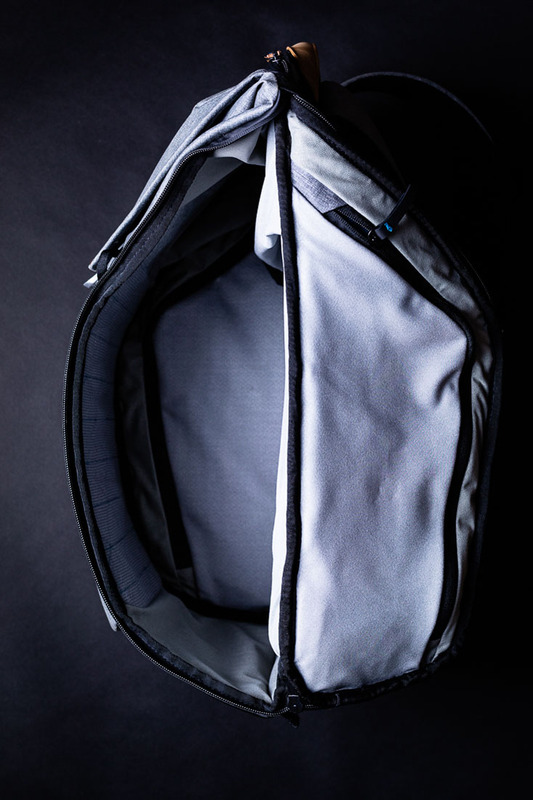 A bag that could hold more gear and be super comfortable while still protecting everything inside. Like all quality equipment, it is usually an investment to get the best. 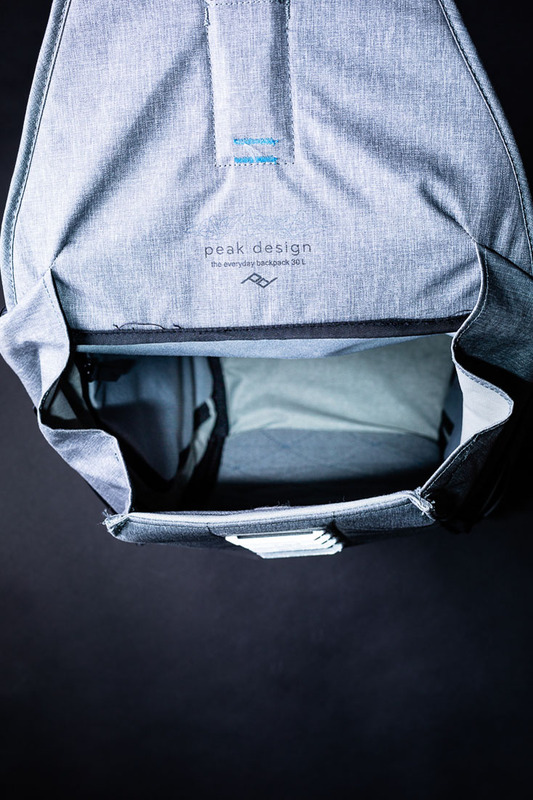 Peak Design bags aren’t cheap. 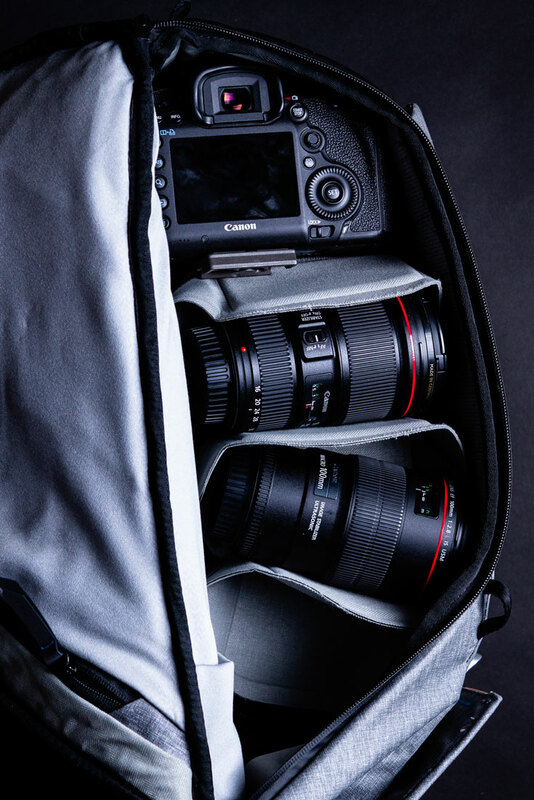 The design and build quality is unmatched to other camera bags out there. So much thought goes into every detail. Their products are as smart as we are. I’ve never owned another bag that gets more compliments. People say “what a cool looking bag,” and they haven’t even seen the inside yet. 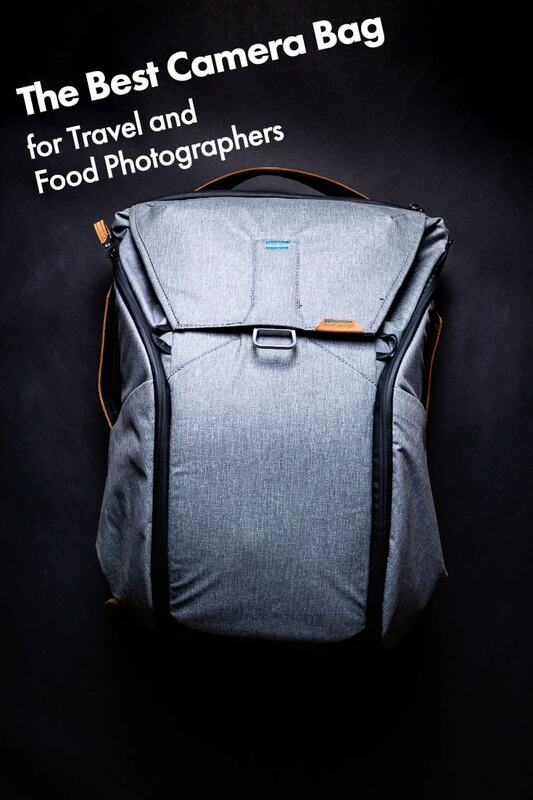 While I could seriously talk about Peak Design bags all day; it’s time to move on to the details of the best camera backpack for travel and food photography that I have ever used. Almost every trip or local photo shoot requires slightly different gear. This backpack adapts to whatever situation is thrown at us. 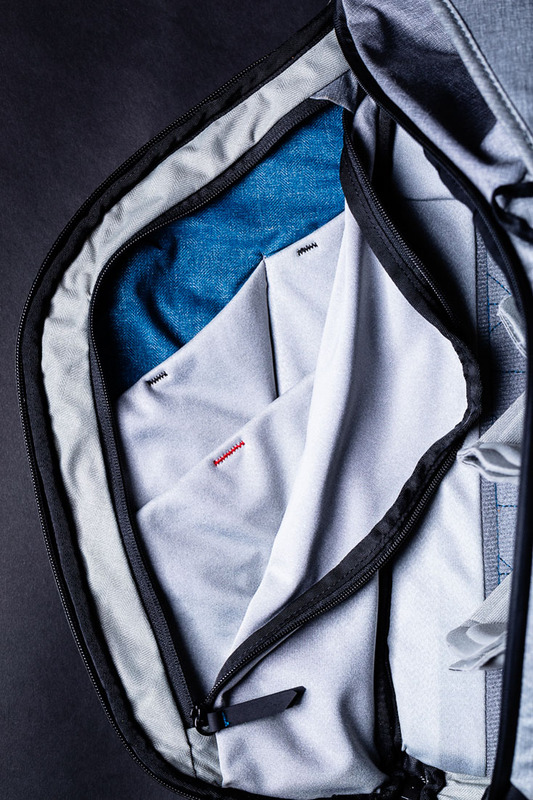 One of the best features of the Everyday Backpack is the unique divider system that allows for almost infinite combinations to accommodate the gear you need to carry that day. From micro adjustments to changing the entire configuration. 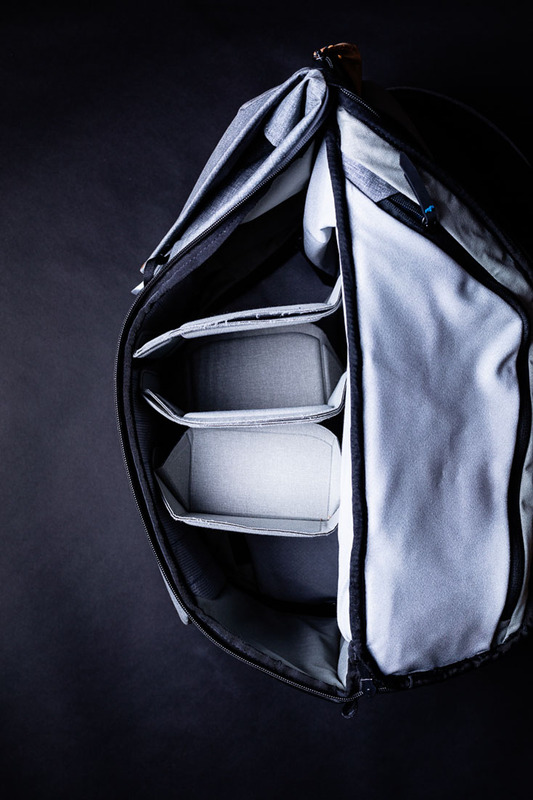 The same bag can go from being one large compartment to X microcompartments to keep your gear in its place. This is key from transforming the backpack from a commuter to a travel__, to a camera backpack. 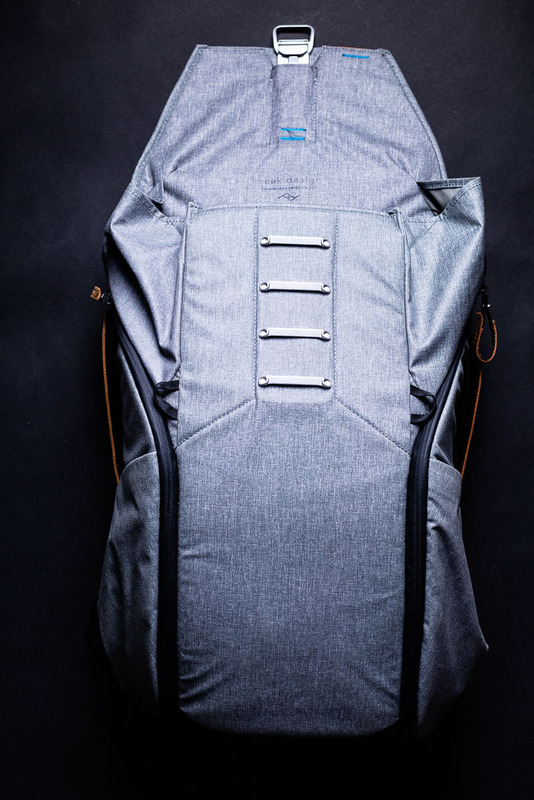 There is room for just about everything on the inside, and lots more can be strapped to the outside of the bag; including a tripod, light stands, reflectors, water bottles and even a jacket. 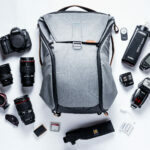 A backpack or a messenger back for camera gear? If you plan on traveling with your equipment, choosing a backpack over a messenger bag is a no-brainer decision. Camera gear gets heavy and a backpack is always more comfortable because of the distributed weight on both shoulders rather than just one. A backpack also has more room, which is super important when traveling. Check out all the details about the equipment I use for food photography over on my Food Photography Gear List post. One of the features I really love is that the bag has multiple ways to grab what you need. Each side of the bag unzips, and from either the top or the bottom so you can just open the specific area that has what you need. 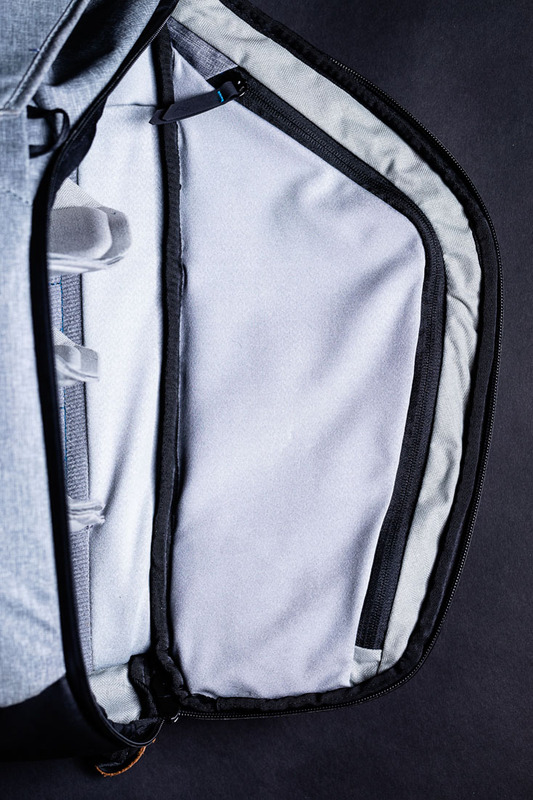 The top flap has a unique magnetic latch that is adjustable to expand depending on how loaded the bag is. 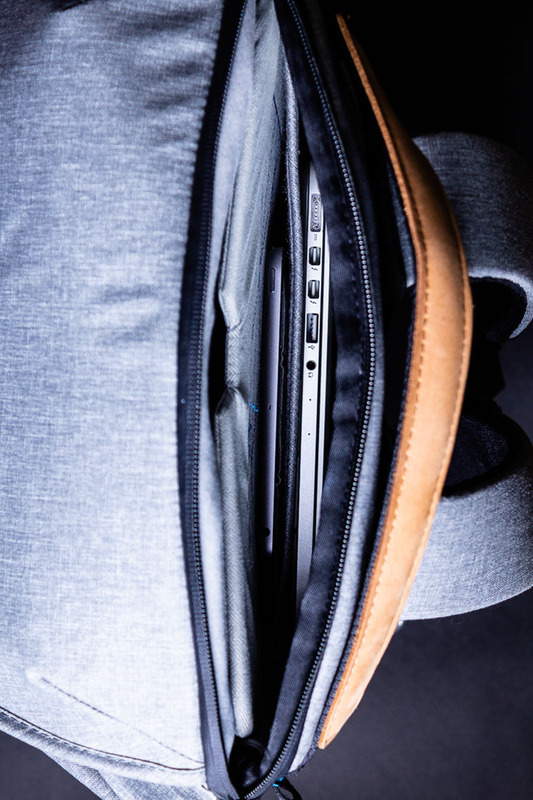 There’s a separate zipper compartment for a laptop and tablet that is accessed from the top of the bag. I love the divider between the tablet and laptop areas because it makes it super easy to slide items in and out without pulling all the other contents with it. 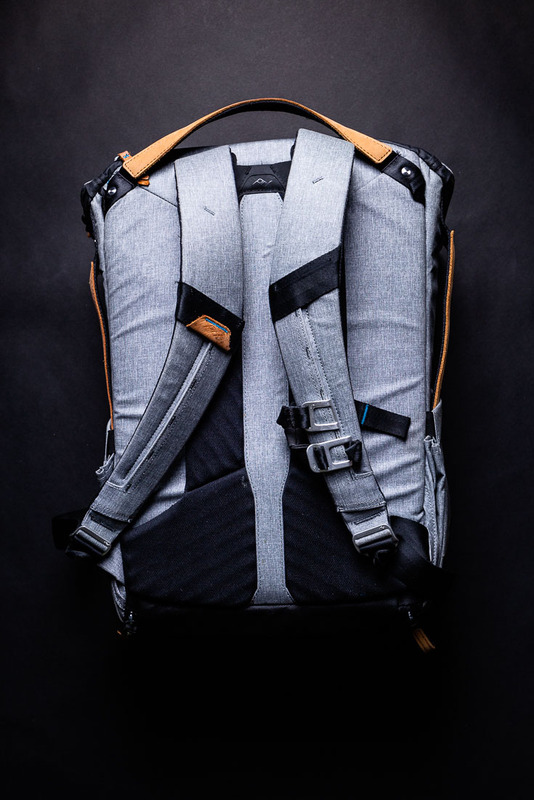 One of the important design features of the Everyday Backpack is that it doesn’t look like a camera backpack. This is really important while traveling so you are much less of a target to thieves. After you are convinced that this backpack is for you, the next step is deciding between the 20L and the 30L versions of the Everyday Backpack. I agonized over this decision for a while because I really wanted the smaller bag, which is slightly more compact. It will also be lighter because the extra room in the 30L version probably means packing extra gear just because you can (a good and bad thing). After a lot of research, I ended up going with the larger 30L Everyday Backpack, and I’m so happy I did. On big photo shoots that require more gear, I use every square inch of the available space. 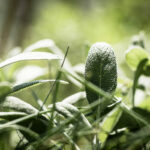 On smaller shoots, it compresses down and doesn’t feel too big at all. I can pack the 30L bag with just about everything I will need for a typical food photo shoot, and attach anything else that might not fit inside. Either size bag would be more than needed for just bringing a camera and an extra lens. For quick trips where I just want to bring my camera and maybe one extra lens; I plan on picking up the Peak Design Sling. 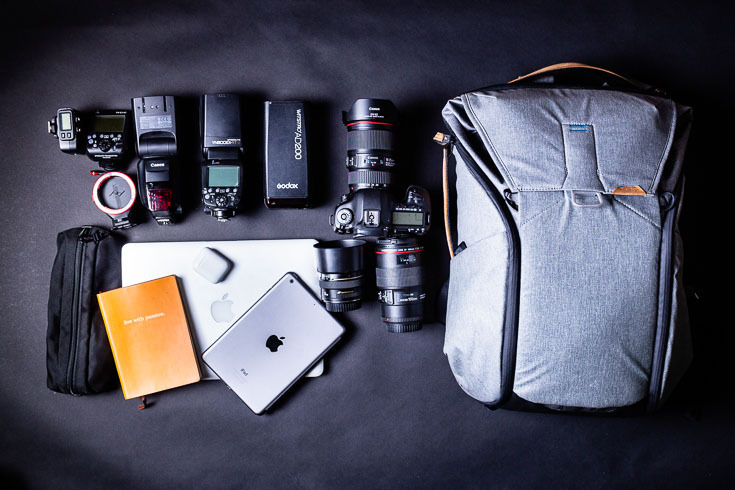 When it comes to choosing the best and most versatile backpack for photography, you need not look any further. 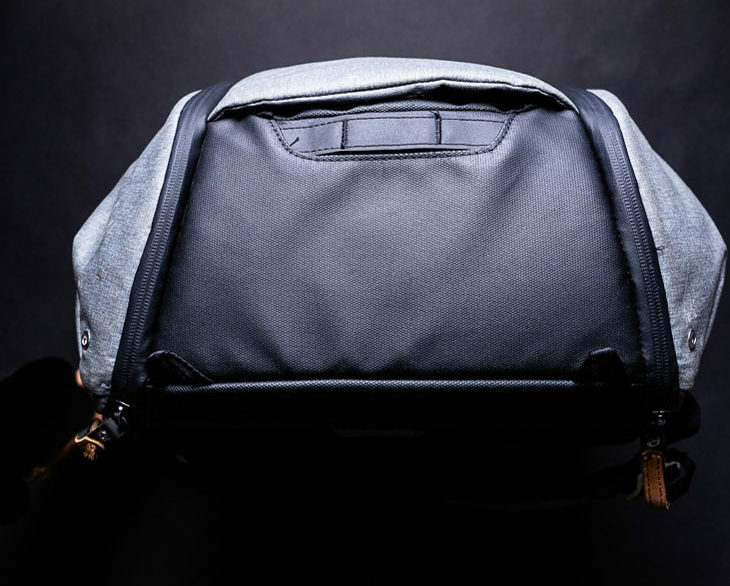 This bag does it all and outside of the photography category, it’s also perfect for an everyday commuter backpack. Use my affliliate link to buy Peak Design products and receive a special discount on the best camera bag available.